Google’s homepage has always been simple and uncluttered. Those who wanted to customize the homepage with gadgets and themes had to switch to iGoogle, the personalized Google homepage. Lately, Google’s homepage has changed a lot: the search box is bigger, there’s a fade-in animation and a new logo, doodles are more interactive. 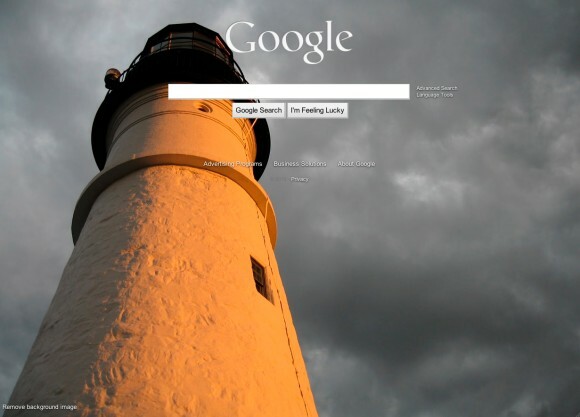 Inspired by Ask.com’s themes and Bing’s wallpapers, Google will allow users to add a background image to the Google homepage. “We’re introducing a new feature that brings a whole new level of personalization to Google by letting you add a favorite photo or image to the background of the Google homepage. You can choose a photo from your computer, your own Picasa Web Album or a public gallery hosted by Picasa which includes a selection of beautiful photos,” explains Marissa Mayer. Google says that the new feature will be gradually released in the US and it will soon be available outside US. A lot of people use Google as their homepage and many would like to customize the homepage. I’m not sure it’s a good idea to add visual clutter to the Google homepage and to make it load slower, but iGoogle, Bing and Ask.com have a lot of happy users. Tip: to see other customized Google homepages, check the #mygooglepage Twitter hashtag.